Spring announces itself in many ways. In the book world, vernal book fairs and auctions tempts the frozen bibliophile our from hibernation with new treasures waiting to be explored. Bonhams welcomes the new season with a May 30 auction entitled Wassenaar Zoo: a Dutch Private Library. Representing the biggest names in 19th-century natural history documentation, highlights from this collection went on display in New York earlier this month and are currently on view in Hong Kong. Another viewing will be held in London from May 23-29. Comprised of 2,400 mostly ornithological volumes, the collection was assembled in the 1950s to accompany exhibitions at Holland's now-defunct Wassenaar Zoo. 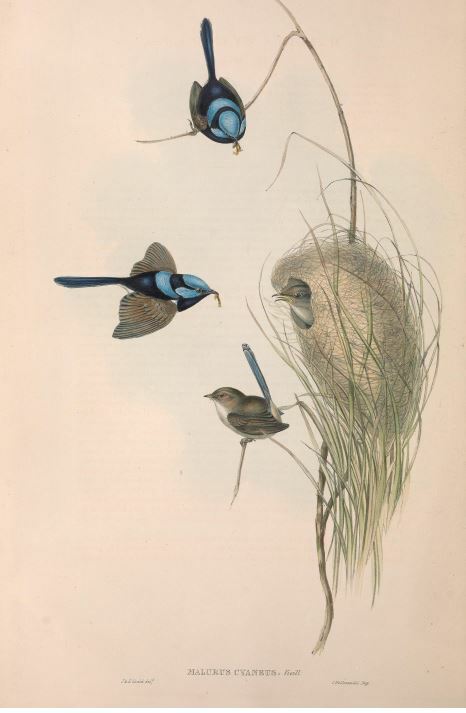 The auction will include a near-complete run of folios by naturalist John Gould, works by French ornithologist François Levaillant and by Daniel Elliot, co-founder of the American Museum of Natural History. Their beautiful illustrations of pheasants, finches, and falcons fuse a delicate balance between art and scientific inquiry and remain highly coveted by collectors.